You have exactly 6 seconds of video time to engage your customers? How can you use it creatively? Twitter Vine, which is a mobile app owned by Twitter started making waves since its launch in 2013. Businesses are coming up with interesting and creative ways to use this mobile-app and engage with customers. Many speculated the conversation surrounding the vine would soon die off with the introduction and instant popularity of Instagram video; however, it has remained pretty strong and doesn’t seem to be going away anytime soon. And the best part, it has hit more than 40 million viewers. Here are some interesting ways you can use the Vine for effective customer engagement. The 1% rule comes to mind when we talk about user generated content. 1% actively creates fresh content, 9% edit it and 90% consume it. If you tap into this 1% platform, you can expose your product or brand to millions of individuals. What you need to do is to tap into the most popular users of Vine. Oftentimes, customers look for a sense of closeness and intimacy with the brand they are connected to. This is not something companies think of. However, it should be. A behind the scenes look or a close conversation all contribute to the way you can engage and interact with customers. Customers want to catch a glimpse of the inner workings of your company, so using Vine to engage with them will help build your audience. If your product requires assembly and you need to provide instructions, a Vine video will give you a fresh take. Create a quick and snappy video on how to assemble a product, for instance. Get prospective customers to show interest in your product by using a top trending hashtag, like #howto. You can highlight product features using a short Vine video. Maybe your product has features and benefits you haven’t yet been able to showcase to your audience. A Vine video is a great way to do it. It will look and sound more interesting than it would say in text form. Vine helps highlight features and creates a desire in the customer to get it, while at the same time makes it sound entertaining. What about running Vine video contests? With Instagram and Pinterest frequently running contests, may be it is time for your business to use Vine to run contests to engage your audience more. 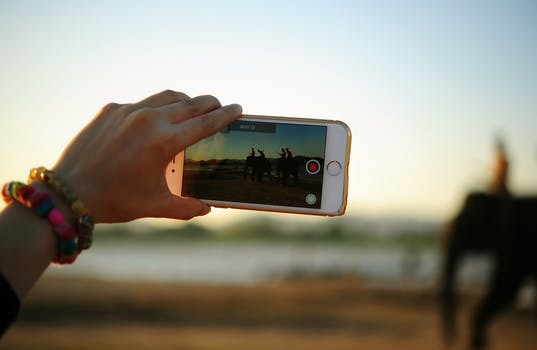 Since the videos don’t have to be long, your audience may show a great interest and enthusiasm to showcase their skills in a fun and exciting way.